Who will win the battle of these dueling dragons from John Hardy's Naga collection? 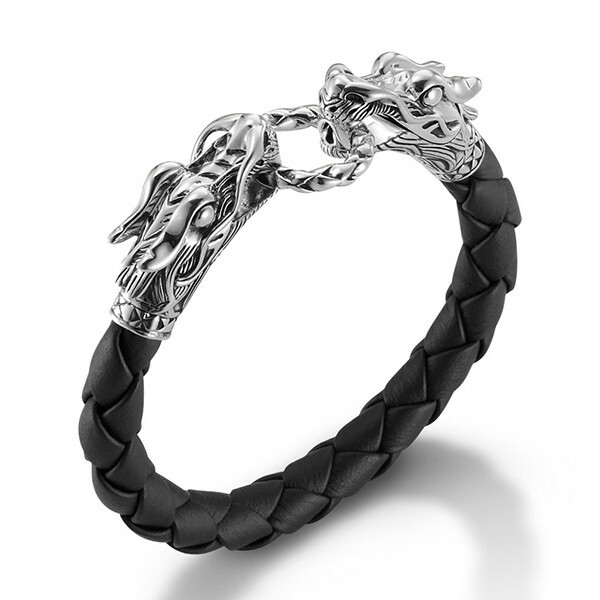 Handcrafted in sterling silver with darkened details, two magnificent dragons face off on this woven black leather bracelet. The clasp is cleverly hidden as one of the dragons tugging on the ring giving this bracelet a streamlined look. You'll be in for double trouble wearing this fabulous John Hardy piece!